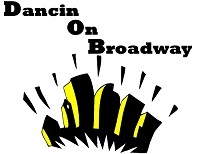 Welcome to Dancin On Broadway! This is the registration for our MAPLE GROVE studio. monthly installments - September through May. September lesson fees and the registration fee are due upon registration. Lesson Fees, competition fees and payment made are non-refundable or transferable. There are no credits on missed lessons, however, missed lessons can and should be made up through March for classes with multiple class times. I have read and understand the General Information. I agree with the policies explained in the Dancin On Broadway general information. to use their photographs in connection with advertising or news coverage of our events. December 15th, you will be responsible for payments on your accounts through Jan. 14th. Lesson fees are non-refundable nor transferable.